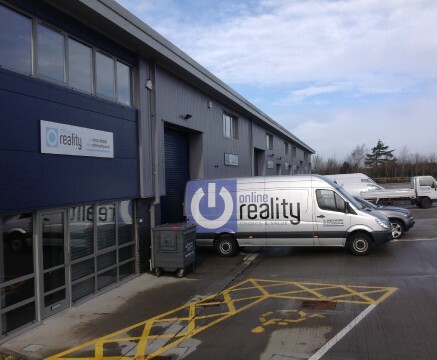 Online Reality is the new ECommerce web site from Office Reality. Since 2004 we have been supplying our customers in the UK, Europe and beyond with quality products at value for money prices. Office Reality and its sister web site Cafe Realty, showcase products from the office and contract furniture sector, produced from manufacturing partners and selected against a criteria of quality and value that is unrivalled by other websites. Our background is commercial interior design and our aim is to give you a commercial environment that will exceed your aspirations and expectations. The latest "super menu" intuitve navigation system to allow users to find product categories easily and quickly. Top navigation and side navigation with a "breadcrumb trail" so you will always be able to find a way back. A portal for our account customers to view their tansactions and order history. An advanced and intuitive search tool that will search by keyword or product detail. A fully operational shopping cart with the best SSL security certification to give you the confindence that your transaction is totally secure. There is even a home for our goldfish "Freddie" who will bring you the best deals around town.... every day.